It doesn’t take a rocket scientist to know that highly processed foods, fast food and other types of junk food aren’t good for you (and your brain), but do you know which foods are the best when it comes to boosting your brainpower? Read on to find out. The humble egg is a nutritional powerhouse, and its yolk is especially good for your brain. According to research, having eggs for breakfast can improve your overall cognitive performance. While we’re on the topic of breakfast, here’s another food you might want to try: oats. The primary fuel for our brains is glucose, which comes from carbohydrates, and wholegrain oats contain plenty of carbohydrates – the good kind that our body breaks down slowly. Lentils are packed with folate, a B vitamin that has been linked to improved brainpower, so make sure you add this to your grocery list for the next time you hit the shops. Hungry for a snack? Nutritionists often recommend a handful of nuts as a healthy option, but if you really want to give your brain a boost, reach for the walnuts. According to scientists at an American university, a diet that is rich in walnuts has been found to improve mental performance. 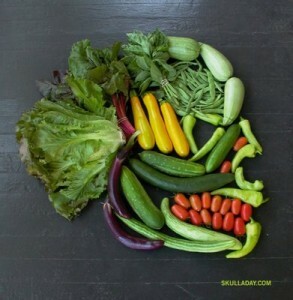 Not all vegetables are created equal, especially when it comes to your brain. While vegetables in general were found to be beneficial, researchers discovered that those who ate green leafy vegetables (such as spinach) and cruciferous vegetables (such as broccoli and cauliflower) had a slower rate of cognitive decline. Good news, blueberry lovers! An American study has found evidence that eating blueberries could help to improve or delay short-term memory loss. While it’s no secret that tomatoes are rich in lycopene, a powerful antioxidant, it has actually been suggested that lycopene could help to protect against the kind of free radical damage to cells that occurs in the development of certain cognitive ailments such as dementia and Alzheimer’s. Note that this refers to freshly brewed tea, not the highly sweetened, bottled variety. Freshly brewed tea contains a modest amount of caffeine, which has been found to boost brainpower by enhancing your memory, focus and mood. Just be careful not to overdo it – drink no more than two to three cups a day. Certain types of fish, such as salmon, sardines, mackerel and tuna, are excellent sources of omega-3 fatty acids, which also happen to be very good for your brain. As it turns out, sage has long enjoyed a reputation for improving memory. Although most people use sage as an essential oil when it comes to boosting brainpower, we’re sure there’s no harm in adding fresh sage to your meals too, especially if it makes your food taste even better.